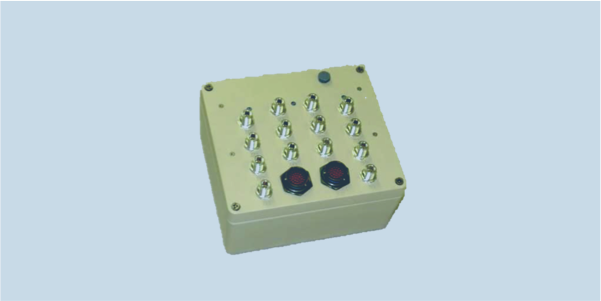 MISC-A0045 contains five low-noise amplifiers and optional DC power injection to overcome losses from long cable runs between antennas and ground devices. MISC-A0045 is ideal for amplifying and powering a stack of monitoring or DF antennas and provides termination for DF control and RF cables. Four additional N-type female connectors allow passive interconnection of two RF cables. Two 32-way connectors, wired pin-to-pin, allow through connection of a control cable.